The BMW S1000 XR is an adventure sport bike that is based on the S 1000 R and it will be in competition with the Multistrada when it reaches UK dealerships next year. 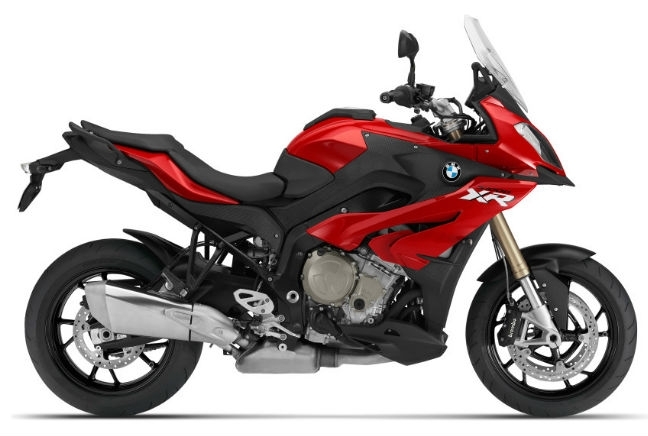 Powered by a 160hp, 998cc inline four-cylinder engine, the S1000 XR is a powerful bike. It generates 83lb-ft of torque and is well suited to motorway cruising whilst still offering plenty of grunt at low and mid-range revs. As you’d expect of a BMW, the S1000 XR comes well equipped and is extensively kitted out. As standard there’s Automatic Stability Control (ASC) and ABS, while high-end models come with an ABS Pro system, a Dynamic Electronic Suspension Adjustment (ESA) and Dynamic Traction Control (DTC) systems. There is also a choice of riding modes, Rain and Road, alongside Dynamic and Dynamic Pro options at the top of the range in the Pro specification.